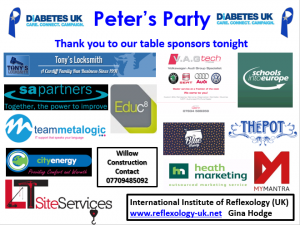 We were proud to be a table sponsor at Peter’s Party last weekend. The event was a fundraiser in aid of Diabetes Cymru on behalf of Peter Baldwin, who was a pupil at Whitchurch High School, who passed way in January 2014 following a short illness which was masking undiagnosed Type 1 diabetes. The event was a huge success raising a total of £8,500. We would like to take this opportunity to firstly thank, and congratulate, everyone involved in the organisation of Peter’s Party, and secondly to continue to raise awareness of Type 1 diabetes. When we think of value we often think of it in terms of money. Value is obtaining the best possible service/product for the least amount of money we can, right? I’m having one of these, right here, right now. We all constantly receive emails and view social media posts in my feeds that offer free trials, services, meetings and products. Of course, nothing in life is free, and so I always consider whether I want the ‘free’ item badly enough to exchange my email, telephone details or an hour of my time. Sometimes I do, and sometimes I don’t.